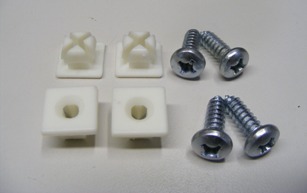 This is a 1970-1981 Camaro Trans Am License Plate Fastener Set. 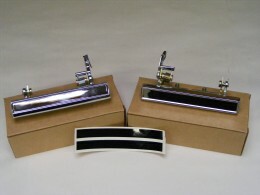 1970 - 1981 Camaro Trans Am License Plate Fastener Set. Set includes 4 screws and 4 nuts. 1970 - 1981 Camaro Trans Am Door Handle Connecting Rods NEW!